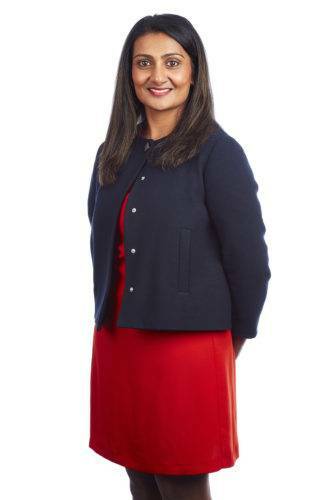 Asma is a Partner at Chadwick Lawrence LLP and heads the Corporate Recovery and Insolvency Department. 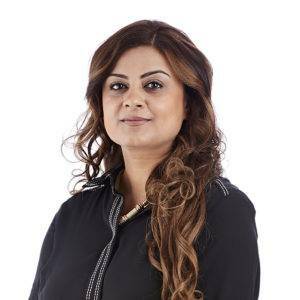 Asma qualified in 1999 and has extensive experience in Insolvency having spent 7 years at a Commercial Law firm in Leeds before joining Chadwick Lawrence LLP as a Partner in 2008. 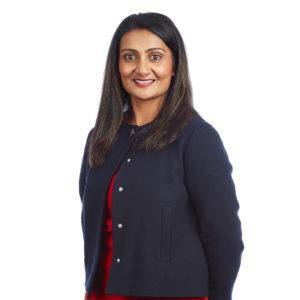 Asma’s main areas of practice include advising business, Directors and Insolvency Practitioners in Corporate pre-insolvency and insolvency situations. Areas of expertise include the corporate restructuring of companies with a view to rescuing the business where commercially viable. Expertise in post insolvency situations include defending directors in antecedent transaction actions brought by Insolvency Practitioners including transactions at undervalue, preference claims, extortionate credit transactions, transactions defrauding creditors, wrongful and fraudulent trading and misfeasance claims. Asma also acts in Company Directors Disqualification Act 1986 claims. Asma advises individuals and insolvency practitioners in personal insolvency matters and acts for foreign creditors in recovering substantial sums due from debtors based in the United Kingdom. 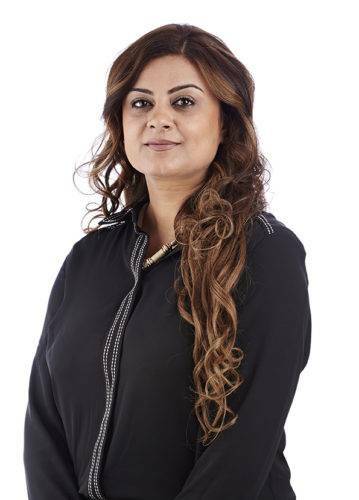 Asma is chair of the R3 Yorkshire Women in Business Recovery Group and a member of the R3 Regional Committee. Barry graduated with a law degree (LLB) in 1977 and qualified as a solicitor in 1981. He joined CL in 2005 as an Associate and became a partner in 2009. 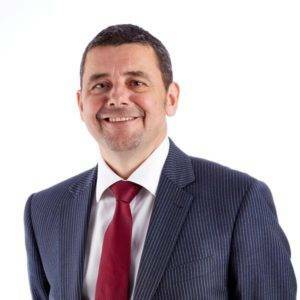 Barry specialises in commercial property law, working for some big clients in the Yorkshire region, in varying industries from logistics to marketing; education to building products. Barry advises on all aspects of commercial property law, which included the renewal of leases, development and acquisition of new facilities and property elements of commercial sale agreements. Bhavna studied Law at the University of Newcastle Upon Tyne and completed the Legal Practice Course at the College of Law, York. She qualified as a Solicitor in November 2004 and worked in London before moving to the North. 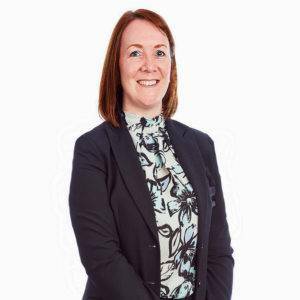 She has worked for Chadwick Lawrence since February 2013 and is based in the Morley office dealing with all varying aspects of Residential Property Law. Bhavna is a Partner and Solicitor, qualifying in 2004. 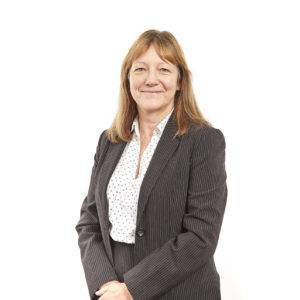 She specialises in all aspects of conveyancing, managing our Morley office and a team of 8. She is supervised by the Partner in Charge, Sarah Haller. Head of the Family Department, Catherine completed a law degree at the University of Birmingham and qualified as a Solicitor in 1986. 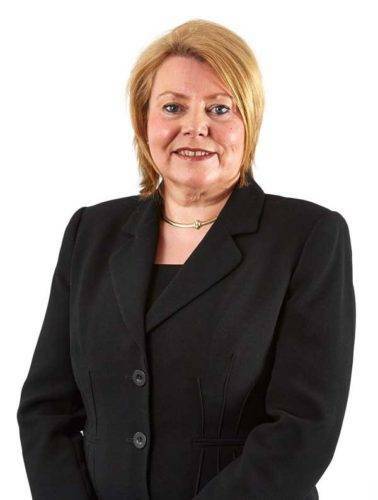 Having joined Chadwick Lawrence in 1993 as a specialist family lawyer, Catherine became a Partner with the firm in 1996. Catherine has a wealth of experience in all aspects of family law and is regarded as one of the most effective Yorkshire practitioners in the area of high net worth financial settlements following divorce or separation. 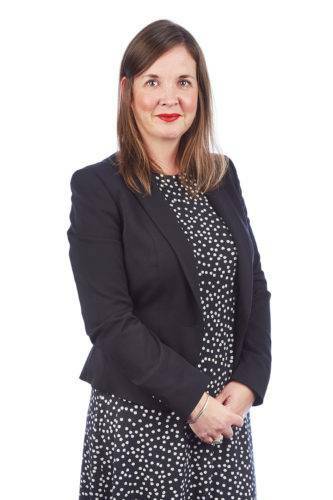 With many years experience as a family mediator and collaborative lawyer, Catherine is an accredited Resolution specialist in financial provision within divorce, children matters and a member of the Law Society Family Panel. As past President of the local Law Society, a recent career highlight for Catherine was attending the Royal Garden Party as a representative of the Law Society. After completing an LLB in European Legal Studies, followed by an LPC, Cheryl joined Chadwick Lawrence as a trainee in 1999. She qualified as a solicitor into the commercial department in 2001 and became a Partner in 2007, specialising in commercial property law. Dan qualified as a Solicitor in 2005 and is an Associate Solicitor in the Dispute Resolution Team. He joined Chadwick Lawrence following the merger with Godloves Solicitors in April 2012 where he headed the Commercial Litigation Unit. Dan specialises in a broad range of company and commercial dispute resolution matters. 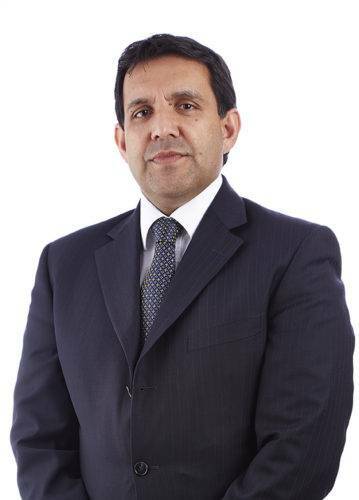 His caseload is varied, but he has advised in disputes concerning commercial contracts, shareholder issues, partnership disputes and professional negligence matters. He has a growing caseload of clients seeking advice in relation to Base Rate Swap Agreements or Interest Rate Hedging Products. 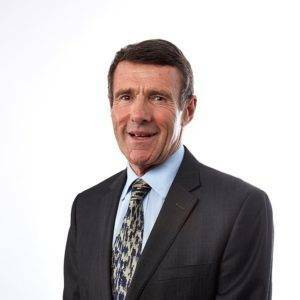 Dan is a former President of the Halifax Incorporated Law Society and continues his involvement with the Society as a Governor and as a committee member. 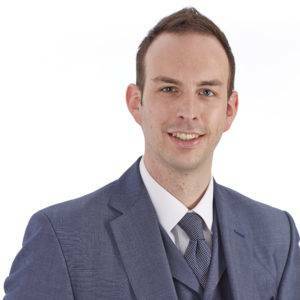 Daniel is a Partner and solicitor specialising in employment law at Chadwick Lawrence solicitors, having trained with the Firm since 2006. Daniel studied the LLB law course part-time, achieving a first-class honours degree. Subsequently, Daniel achieved a distinction on completing the Legal Practice Course, again on a part-time basis. Daniel has a particular focus on advising businesses and sports organisations under the ESP retainer scheme, and he manages a number of key commercial relationships within the Firm. Daniel is also responsible for the management and development of the employment team and, more widely, the commercial department. 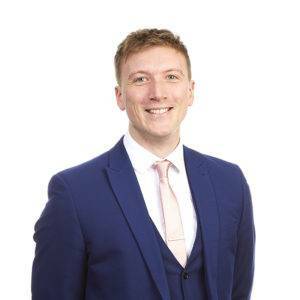 Daniel is also heavily involved in the development of training programmes delivered across the region, and prepares regular commentary in the local media on topical employment law matters. 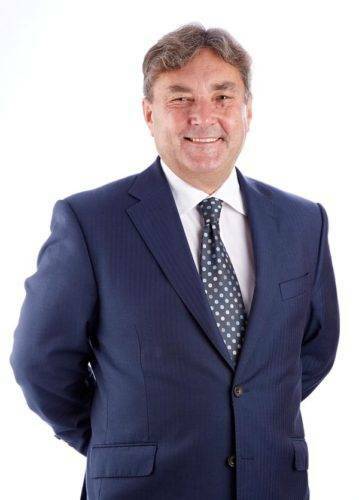 Howard is the Head of Chadwick Lawrence’s Wills & Probate Team and has over 34 years’ experience in private client work, specialising in Wills and Probate work as well as Lasting Powers of Attorney, Court of Protection matters and Trusts. Howard has been working in this area since he qualified in 1984 and has helped thousands of families and individuals. He has a particular interest and expertise in assisting small family businesses when they are devastated by a sudden death. Howard is a proud member of the Society of Trust and Estate Practitioners- STEP, an organisation which he has been involved with since it was first formed. He admits to being a Trekkie and has published several histories on the subject of Leeds United Football Club. 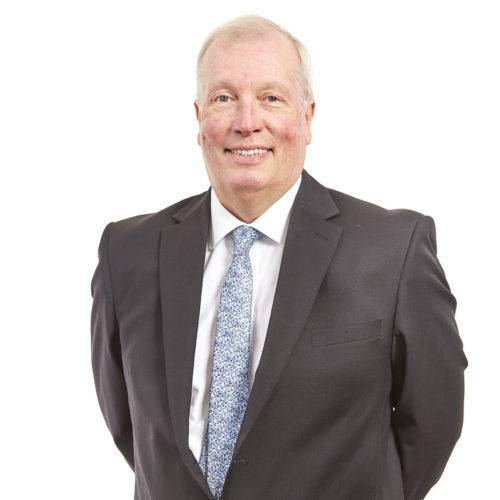 Howard qualified as a solicitor in 1984 and has worked at Chadwick Lawrence since 1988 and is a specialist in Personal Injury, Inquests and Licensing matters. 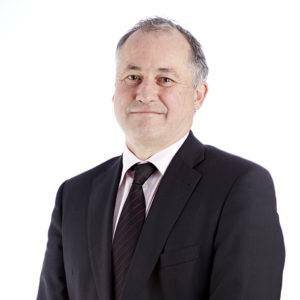 A Partner heading up the personal injury department Howard specialises in serious injury cases specifically those involving spinal injuries and brain injuries. He recently obtained an award of £6.7 million for a Claimant with tetraplegia and a brain injury. Howard is a member of APIL and the Law Society Personal Injury Panel. 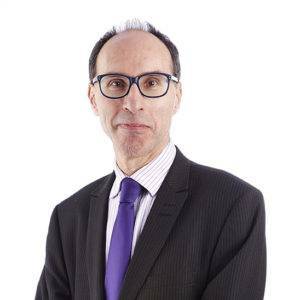 Howard also specialises in handling Inquests and acts for a large organisation preparing them for and representing them at Inquests across the country in particularly complex matters where there has been a death in custody. Howards’s Licensing Law expertise is also well renowned. He acts for businesses of all sizes but recently concluded a complex licensing application on behalf of an internationally renowned sports stadium complex. Howard relaxes by keeping fit walking in the countryside, cycling playing racquet ball and running coupled with his infectious appetite to travel in this country and abroad when time permits. He also loves music and has a number of eclectic play lists to keep him entertained. 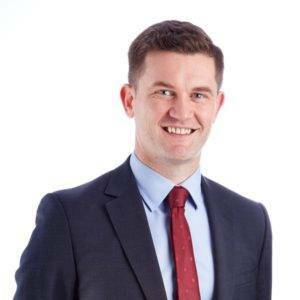 Jack is an employment litigation specialist at Chadwick Lawrence, having joined the firm in 2005. 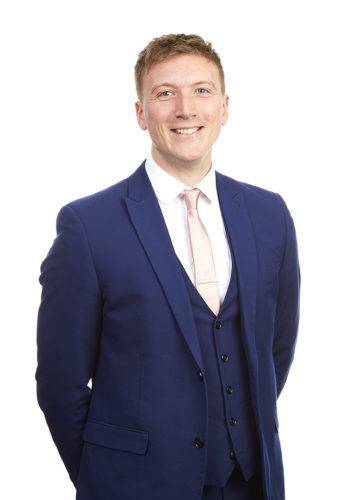 Jack commenced his legal training in 2006 as a paralegal in the firm’s Dispute Resolution Department and, at the same time, commenced an LLB Law Degree at the University of Huddersfield on a part time basis, achieving a 2:1 honours degree. He then obtained a distinction on completing the Legal Practice Course, again, on a part time basis. Jack qualified in February 2013, at which point, he started specialising in employment litigation. Jack acts for both employers and employees on all employment related issues but predominantly in employment tribunal claims. This encompasses a wide variety of issues including complaints of unfair and constructive dismissal, all forms of discrimination and contract disputes. On the commercial side, Jack acts for a number of the firm’s high profile client’s including Kwik-Fit and Huddersfield Town. Jack also assists individuals through disciplinary and grievance processes and negotiates and advises upon Settlement Agreements. 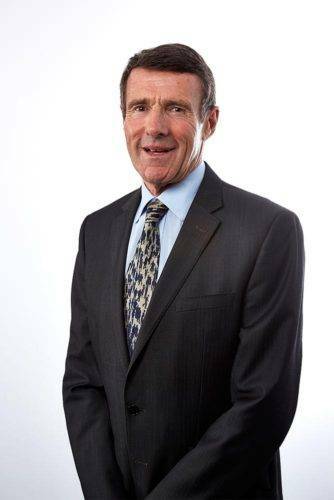 In addition to Jack’s employment expertise, he has previously worked on a wide range of commercial disputes, including contractual litigation and professional negligence claims in the County and High Courts as well as the Court of Appeal which offers invaluable experience when advising employers and employees on issues concerning post termination restrictions. 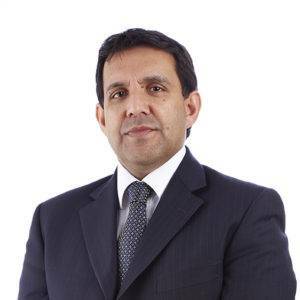 Kumer is a Partner and Head of the Property Litigation Team. Graduating in Law from Oxford University Kumer studied at the College of Law in York and thereafter trained at a large national firm. He spent most of his qualified career at Godloves in Leeds where he was a Partner prior to its merger with Chadwick Lawrence. Kumer is an expert in the fields of Land Law and Landlord & Tenant Law. His commercial landlord & tenant practice comprises the full range of disputes that arise in this field including lease renewals, dilapidations claims, disputes arising out of breaches of covenants, rent recovery, termination and repossession and service charge disputes. He also acts on behalf of commercial and residential land and property owners in a wide range of disputes including rights of way, rights to light, trespass, boundary disputes and title disputes including disputes between co-owners. His practice also extends to disputes in the context of property contracts and issues and claims arising out of property transactions including claims for misrepresentation and professional negligence. Kumer acts on behalf of residential landlords and tenants in tenancy disputes including possession claims, injunction proceedings, rent and disrepair claims. Kumer is a member of various professional bodies and organizations including the Property Litigation Association. He has developed close contacts with a network of property professionals from various disciplines which adds value to the work carried out on behalf of clients. 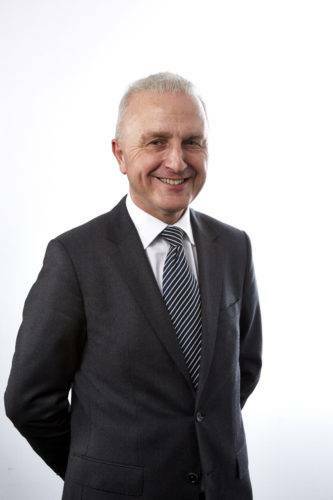 Neil Wilson is the Managing Partner at Chadwick Lawrence and was awarded the prestigious Managing Partner of the Year Award at the Yorkshire Legal Awards in October 2016 and highly commended in the same category at the Modern Law Awards in 2018. 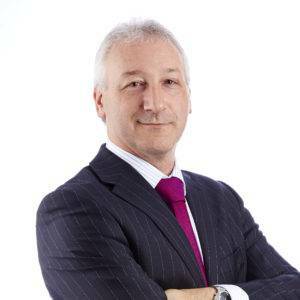 Neil completed a law degree (LLB) in 1996 and qualified as a solicitor in 1998. This is Neil’s second career after leaving a previous job as a manager in a large organisation and he is now a Partner at Chadwick Lawrence. 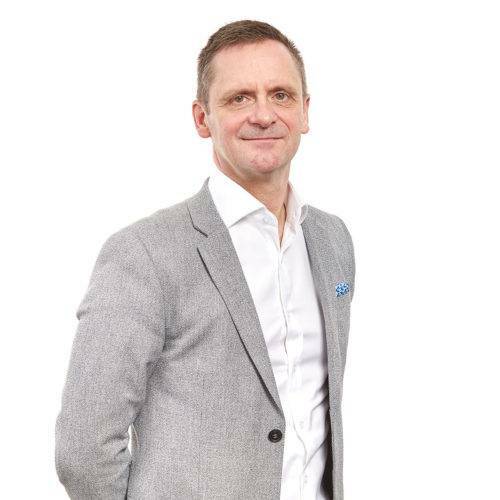 Neil specialises in sports law and employment law, working for many of the regions top organisations and sports clubs, including Kwik Fit, Stapletons Tyre Services Limited, Leeds Rhinos and Huddersfield Town Football Club. Neil is a regular and prominent speaker on employment law and people management matters at business events, drawing on his experience from developing Chadwick Lawrence’s employment law training material and delivering this material on behalf of the team. Neil has been at the forefront of driving forward the culture change at Chadwick Lawrence and with input from all colleagues developing a clear vision for the practice supported by a series of core values which together are known as “The Chadwick Lawrence Way”. His presentation on this culture change journey is always very well received. In November 2017 Chadwick Lawrence were voted Employer of the Year at the Examiner Business Awards, a great accolade recognising the hard work all colleagues have put in to achieve this. Neil is keen to embrace new technology and thrives in a paperlite environment helping him to have no fixed office base and as such he works from all of our offices across West Yorkshire. Neil likes to keep fit by regularly attending the gym and taking part in long distance walking challenges and charity runs. Having completed a number of marathons he tends to stick to 10k races nowadays. Formerly a semi-professional drummer he still likes to keep his hand in to the annoyance of his wife and neighbours! Nicholas is a partner and is the Head of the Litigation Department. He is also the firm’s Compliance Officer and registered with the Information Commissioner’s Office as the Data Protection Officer. 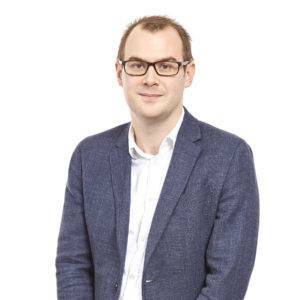 Nicholas provides data protection guidance and support to businesses, including conducting audits, drafting policies and processes, assisting with security breaches, data subjects’ requests and dealing with the ICO. He also delivers training on data protection. 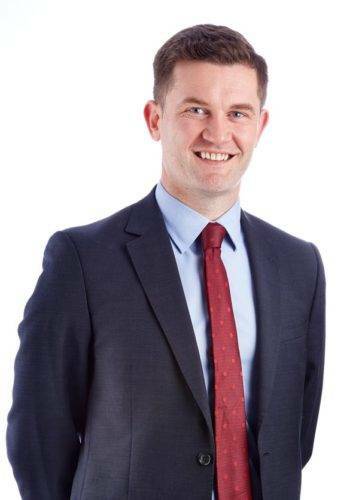 As the Head of Litigation, Nicholas also deals with all forms of commercial litigation work, specialising in intellectual property, contract disputes, and general contract formation and terms. Nicholas is a director and trustee of the Square Chapel in Halifax, director of the Halifax 900 Trust at Halifax Minster, director of Association of Suppliers to the British Clothing Industry, and Company Secretary for the Community Foundation for Calderdale. 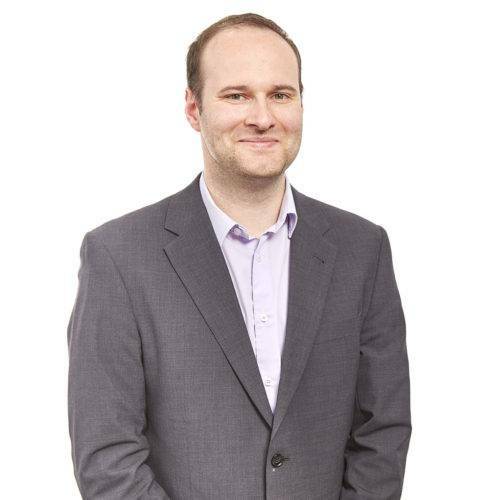 He is the Chair of Business for Calderdale, a prominent local networking organisation Nicholas founded in 2008. 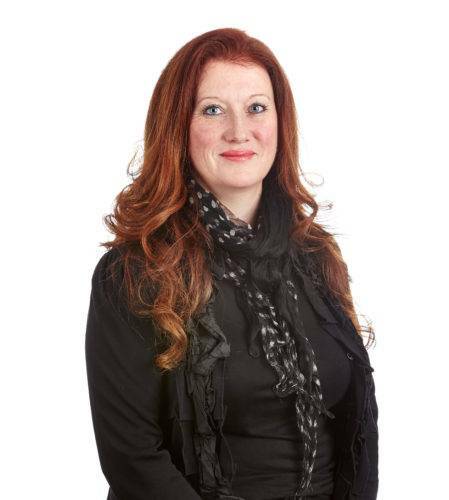 Nicola studied Law at Leicester University, graduating in 2004 and went on to qualify as a Solicitor in 2009. 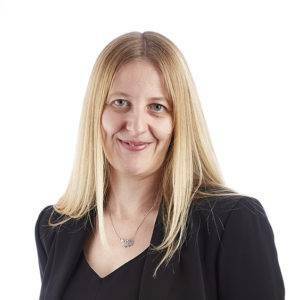 Nicola is based in the firm’s Corporate and Contracts department and specialises in corporate mergers, acquisitions, restructures and corporate finance as well as dealing with shareholder and partnership agreements. Nils joined Chadwick Lawrence in May 2011, becoming an Associate with the firm in October 2015 and a Partner in October 2017. Nils has 6 years PQE experience. Nils helps businesses and individuals with their regulatory and compliance issues both on a contentious and non-contentious basis. Nils recently acted for an international sports star in relation to anti-doping matter brought by UK Anti Doping. Nils has a particular interest in advising sports clubs and professional sports men and women and acts for a number of the regions leading rugby union and rugby league clubs. 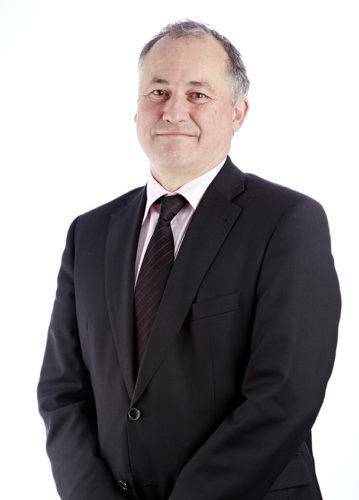 Nils has experience of advising sports clubs in high profile dismissals of both players and coaching staff, as well as advising sports clubs on immigration and disciplinary matters brought by sporting governing bodies such as the Football Association, the Rugby Football League and the Rugby Football Union. Nils also advises individuals who are being interviewed under caution by the Police and other prosecuting bodies and also has experience of advising both individuals and businesses who are being investigated or prosecuted by Trading Standards, HM Revenue and Customs, The Health and Safety Executive, as well as dealing with import and export issues. Nils has an enviable success rate in motoring law matters and regularly acts for individuals who find themselves being prosecuted by the Police for speeding, drink driving and other various motoring law offences. 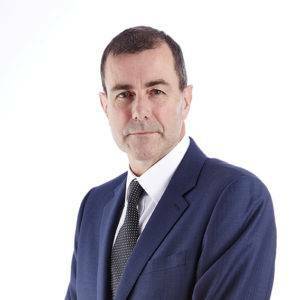 Paul Campbell is the Senior Partner at Chadwick Lawrence. Paul completed a law degree (LLB) in 1976 and qualified as a solicitor in 1979. 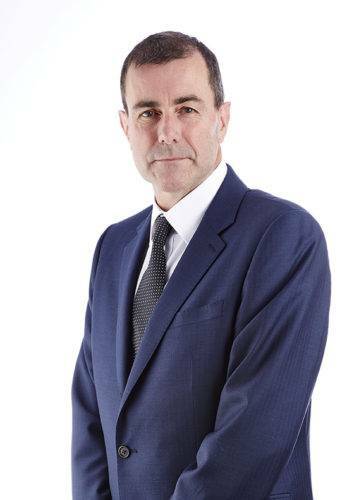 A Partner at Chadwick Lawrence, he has been with the firm for 30 years. Specialising in employment law, Paul has acted for a number of high profile clients. Paul began his legal career in London before returning to his native Yorkshire and ultimately becoming the Managing Partner of Godloves which merged with Chadwick Lawrence in 2012. 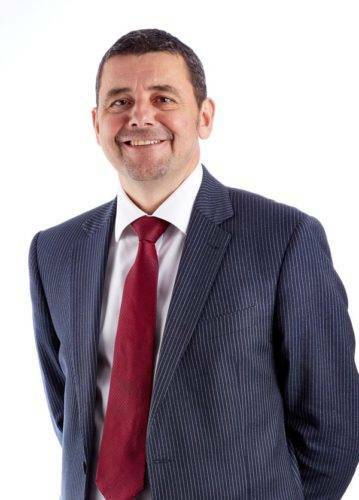 Paul was a Deputy District Judge for a number of years and now specialises in probate work in which he is particularly skilled in utilising his commercial experience to deal with complex estate matters. Paul is based at our central Leeds office where he advises clients on Wills, LPAs and probate matters. Peter specialises in all aspects of Corporate Recovery & Insolvency, Insolvency Litigation, Debt Recovery, and Company Restoration. Peter is practical, commercial and well organised. In particular he enjoys negotiating and doing deals. He has excellent client care skills and ensures that clients are always kept up to date and matters are progressed. Peter specialises in Debt Recovery, including the recovery of unpaid debts and reasonable recovery fees pursuant to the Late Payment of Commercial Debts (Interest) Act. 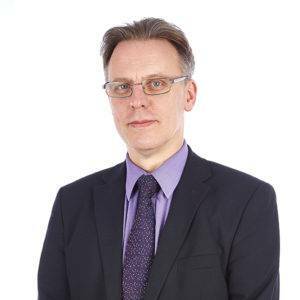 Peter specialises in providing advice on all aspects of Company Restoration to the Register of Companies at Companies House. In particular Peter has restored a number of companies which had previously been dissolved after being in some form of insolvency with a view to appointing an Insolvency Practitioner to either bring a claim against a Bank for the miss-selling of a financial product or simply to accept and distribute the redress which a Bank had already identified as being owed to the company. If you have a problem or issue please contact Peter for an informal chat on 01924 379 078. 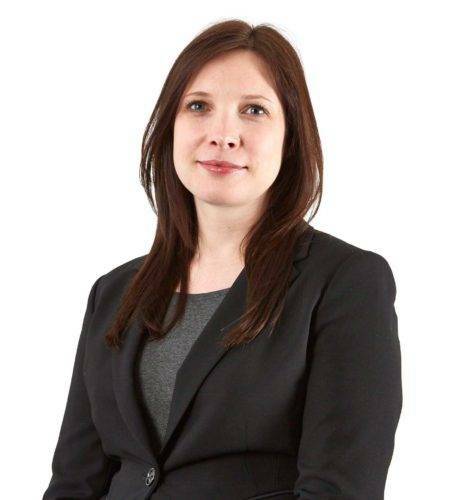 After qualifying as a Solicitor in 2007, Rebecca has become a Family Law specialist and joined Chadwick Lawrence in 2013. Rebecca practices all areas of Family Law including divorce, finances, pre and post-nuptial agreements, separation agreements, disputes between cohabitees and private law children matters. Throughout her career, Rebecca has maintained a particular interest in advising on financial settlements arising from divorce. She has experience of dealing with a wide variety of such matters ranging from cases where there are limited assets (and the objective is to reach a settlement that meets the needs of all parties) to medium and high-value financial disputes frequently involving pensions. Rebecca is a member of Resolution, a network of over 5,000 solicitors who are committed to adopting a non-confrontational approach to divorce and associated work. Rebecca also actively practices collaborative law which encourages couples to take a non-confrontational approach to resolving matters arising from their divorce or separation without the need for contested court cases. 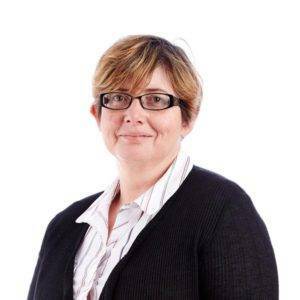 Ros specialises in Commercial Property law and works for national and local clients in varying sectors including developers, property investors, retailers, brewers and private individuals. Ros deals with all aspects of commercial property law including leases for both landlords and tenants, investments sales and purchases, property aspects of secured lending, portfolio management, and property aspects of insolvency matters. Sam graduated from Birmingham University in 2006, studying for a BA in Modern History. He then completed a Graduate Diploma in Law, at the same university and qualified as a solicitor in 2012. Sam performs three distinct roles at the firm, acting as a Sports and Employment Law solicitor, whilst also managing the firm’s commercial development. In the Employment Law field Sam primarily focuses on the delivery of the firm’s employment support package, ESP. Sam acts for a diverse set of clients, in a wide variety of industries, ranging in size from a few employees to few thousand. Sam regularly presents at Employment seminars on topics such as social media, unfair dismissal and discrimination and workplace banter. Sam acts for a number of high profile sports clubs. Sam prides himself on the commercial sensitivity of his advice and regularly deals with sensitive issues involving player contract and disciplinary issues. 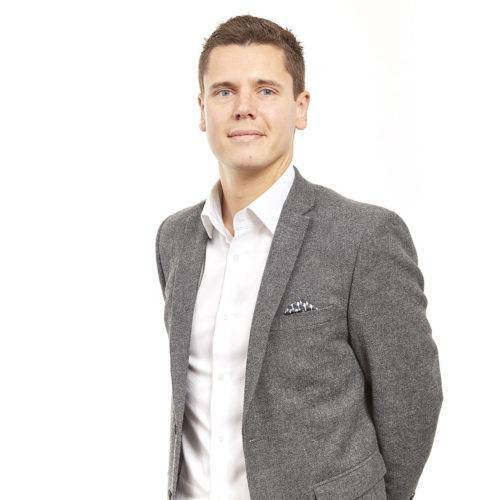 Finally as part of his role as the Commercial Development Coordinator, Sam fronts the marketing activities for the firm’s commercial department, including organising a successful program of evens and seminars. 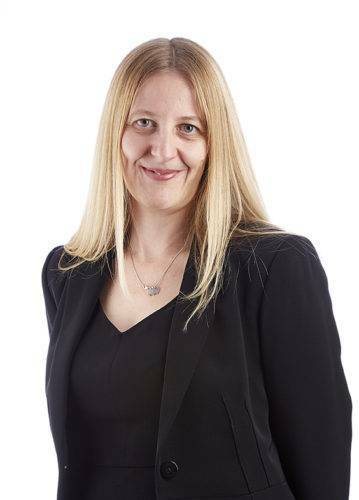 Sarah started working at Chadwick Lawrence as a temporary secretary in 1998 before progressing to a paralegal and qualifying as a solicitor in 2000. After working as an assistant solicitor for 6 years, Sarah was promoted to Associate in 2008 and made a Partner in 2009. 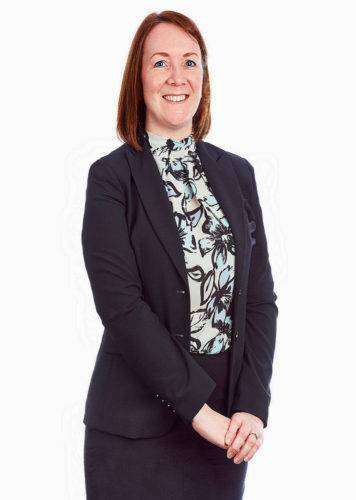 Sarah works in the property department as Head of Conveyancing and has acted for some notable clients including Leeds Rhinos players and Caddick Construction’s Managing Director, Andrew Murray. 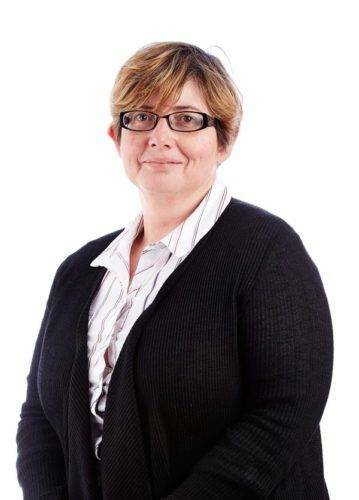 Sarah is the Partner in Charge of the Conveyancing Department and has been with the Firm since 1998. She is a Solicitor with over 20 years experience of all conveyancing types. She qualified in 2000. 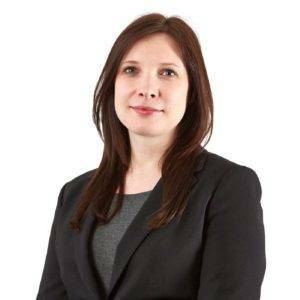 After completing an LLB (Hons) Law Degree and then a Legal Practice course, Sarah qualified in 2004 and has been an Assistant Solicitor at Chadwick Lawrence since 2008. 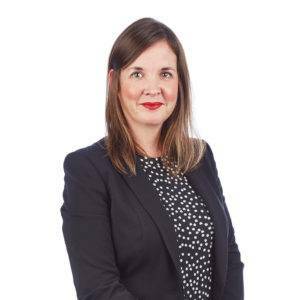 Sarah specialises in all areas of Family Law with a particular emphasis on the financial aspects of divorce and separation, as highlighted by her Specialist Resolution Accreditation in Advanced Financial Provision. 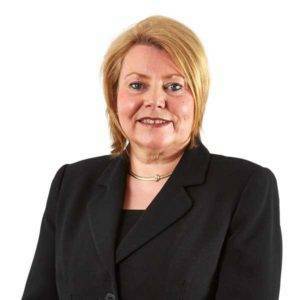 She regularly represent professionals, business owners and their spouses and is experienced in dealing with business interests, pensions and off-shore assets. She also advises on Private Children Law matters. She is a trained Collaborative Lawyer, the Secretary to the Huddersfield Incorporated Law Society and a member of the regional Resolution Committee. Sarah is the Head of Private Client Services which comprises the Family and Wills, Trusts and Probate teams. She has achieved a Distinction in a Masters of Business Administration Degree (MBA) and was awarded the Radicon prize for part time study. 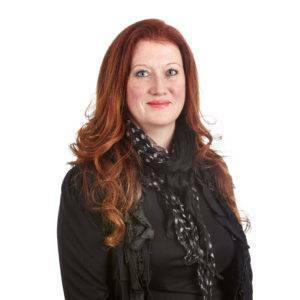 Sarah is a Solicitor specialising in Employment Law with over 20 years experience and is also an Associate Member of the Chartered Institute of Personal Development. Sarah focuses predominantly on the delivery of Employer Support Protect (ESP) providing Employment and HR advice to a wide range of employers with a very practical and commercial edge. Sarah takes a lead role in preparing and delivering training modules both as part of the ESP service and to meet specific company training requirements. 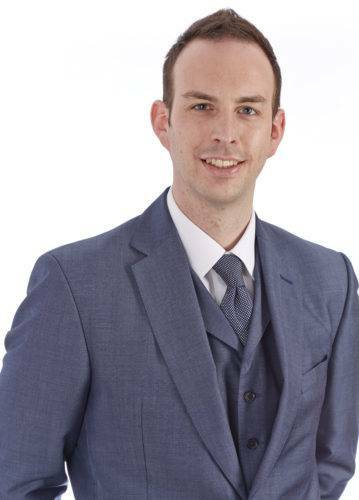 Simon Ingham first qualified as a solicitor in Scotland and now practises in England. He has been employed by Chadwick Lawrence in its Dispute Resolution Department since the beginning of 2005. He now specialises in property, probate, Wills, Inheritance Act and trust disputes. As a property litigator, Simon’s cases involve rights over land or arising from its ownership. His probate disputes concern the exploitation of the elderly or infirm; defective or missing Wills; the failure to make adequate financial provision on death; and, the mal-administration of trusts and estates. 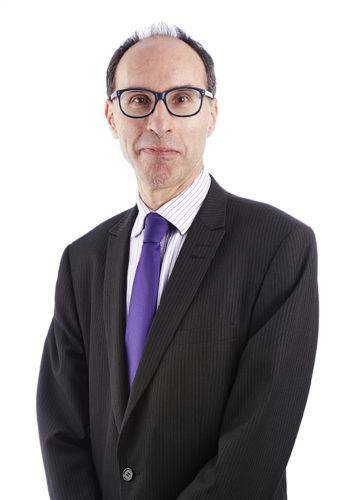 Steven is a Partner and solicitor specialising in corporate and commercial law. 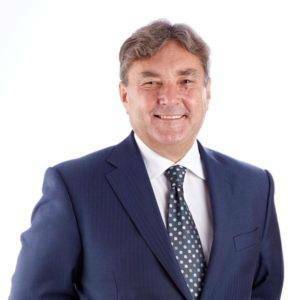 After completing a BA (hons) in Legal Studies in 1977, Steven qualified as a Solicitor in 1980 and joined Chadwick Lawrence following the 2004 merger of the firm with Steven Bonfield Solicitors. Steven advises and negotiates on corporate transactions; devising and implementing strategic corporate solutions; corporate finance and all aspects of corporate governance. Steven also devises practical solutions to commercial challenges; advising on, explaining and producing business contracts in plain English. 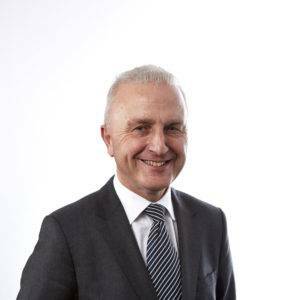 In the specialist areas of corporate mergers, acquisitions, restructures and corporate finance, Steven has worked with high profile clients, including Eurocopy plc, The Kerfoot Group Ltd and Calderdale MBC. 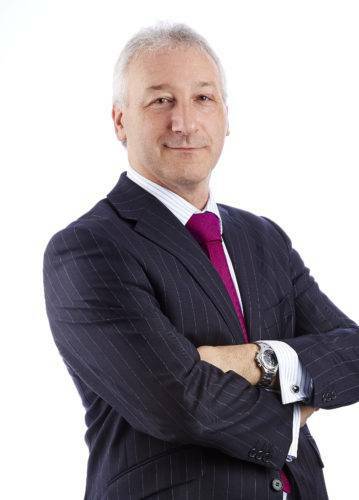 Steven is also very experienced in dealing with international transactions, and has recently completed a series of deals for an American group of companies. Steven is very active in his spare time, and when he is not supporting his local Rugby League team, Halifax RLFC, he can be found skiing or road cycling. Steven also considers himself a ‘foody’, and loves spending time cooking for family and friends. 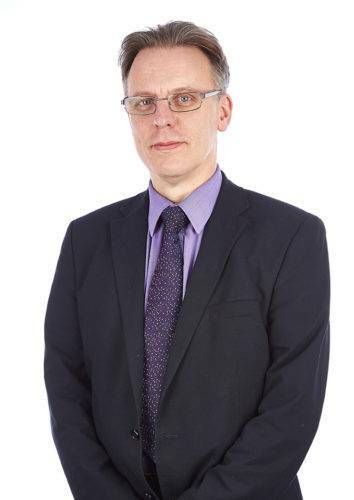 Stuart joined Lister Croft as a trainee in 1982 and qualified as a solicitor in 1984. Stuart then joined Chadwick Lawrence in April 2008 when the firm bought Lister Croft. Stuart specialises in commercial property law, working on all aspects of land acquisition on behalf of developers, business sales and purchases and in acting for a number of major national builders. I qualified as a Solicitor in 1990 after completing a Bachelor of Law (LL.B) degree. A number of years later I obtained a Master of Law (LL.M) degree in Advanced Litigation. I am a Partner and Head of Clinical Negligence and Medical Law at Chadwick Lawrence LLP, a department that I established in 1998. Specialising in Medical Negligence, I am a member of The Law Society’s Clinical Negligence Accreditation Scheme and an Accredited Clinical Negligence Specialist with the Association of Personal Injury Lawyers (APIL). I am also a Clinical Negligence Assessor for The Law Society and an Accredited Clinical Negligence Specialist Assessor for APIL. I lead a team of Medical Negligence lawyers who all specialise solely in Claimant Medical Negligence work and I am listed in The Legal 500 and ranked in Chambers UK 2018. I have a particular expertise in Cerebral Palsy and other birth related injury cases, and have an excellent record in high value and complex cases. I continue to act as the Court of Protection Deputy for many of the Cerebral Palsy and brain damaged clients that I have represented. With over 250 members of staff in locations across the region, nobody is better placed than Chadwick Lawrence to manage all your legal requirements. Whether your needs are Commercial or Private, we have the staff and expertise to deal with your every request.